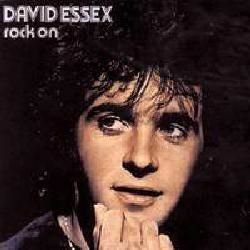 Superb drummer, he appears in dozens of albums, always delivering a fantastic work. His name appears credited in different shapes: Barry DeSouza, Barry Da Souza, Barry De Sousa, but I guess Barry De Souza is the correct one. I haven´t been able to find biographical data about him. Besides, it´s extremely complicated finding info about his live work, so if someone knows more bands and lineups where he has played, I´d be very grateful. Rick Wakeman was replaced by John Stevenson in 1970. I don´t know how much they stayed together. Help with info, please! For a while, in 1971, the band´s drummer Florian Pilkington-Miksa had some problem that prevented him from playing, so Francis Monkman brought his mate Barry De Souza during that period. The band appeared with this lineup at the German Beat Club TV program. They toured opening for Shawn Phillips, and then, they also acted as Phillips´ backing band. 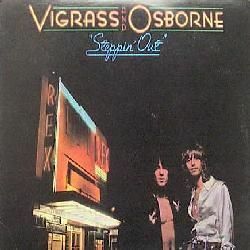 This was a duo formed by Mike D'Abo and Mike Smith. Mike D'Abo was a member of Manfred Mann. He also appears with Chris in the 'Jesus Christ Superstar' album, playing King Herod role. Mike Smith was the vocalist for 60s band Dave Clark Five. 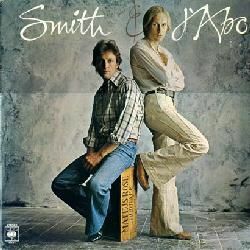 They recorded a very interesting self-titled album, Smith & D'Abo, with great musicians: Ray Russell (guitar), Mo Foster (bass), Dave Markee (bass), Chris Mercer (sax), Jack Lancaster (sax), Malcolm Griffiths (trombone), Barry De Souza (drums), among others. 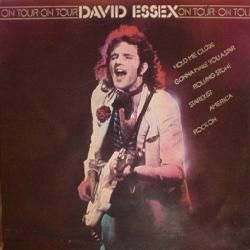 They finished touring in November 1976. After that, Smith and D'Abo went separate ways. Great news! The album has finally been released on CD!! There's a track appearing in a collective live album, Greenbelt live!, recorded at the Greenbelt Festival in Odell, Bedforshire, during August 1979. The track appearing is a live rendition of ´Bittersweet song´. Other artists and musicians appearing there: Bryn Haworth (with Alan 'Bam' King, Tex Comer), Giantkiller, Lamb, Cliff Richard (with Snowy White, Mike Moran, Graham Jarvis, Tony Rivers, Stu Calver, John Perry, Derek Beauchemin), Kainos, Garth Hewitt, Vatten, Randy Stonehill, and Larry Norman. For some reason, Barry disappeared from album credits in the mid 80s. I tried to locate him via Internet since 1999, as some of his mates musicians asked me to do so. But no luck at all. And now, the only additional info is very sad. Barry De Souza passed away in March 11th, 2009, after battling with cancer. He´ll always be remembered, no doubt. Comments: Recorded between February and October 1972. Comments: On Furthermore, the whole album is played by this lineup: Shawn Phillips (vocals, guitar), Caleb Quaye (guitar), John Gustafson (bass), Peter Robinson (keyboards) , Paul Buckmaster (cello), Ann Odell (mellotron on 'Starbright'), Raul Mayora (percussion) and Barry DeSouza (drums). Comments: Mike D'Abo was a member of Manfred Mann. He also appears with Chris in the 'Jesus Christ Superstar' album, playing King Herod role. Mike Smith was the vocalist for 60s band Dave Clark Five. In this album, we can find: Ray Russell (guitar), Mo Foster (bass), Dave Markee (bass), Chris Mercer (sax), Malcolm Griffiths (trombone), Barry De Souza (drums), among others. Comments: The album says: Rare fusion from Scandinavia 1967-1978. It features tracks by Karin Krog, Olli Ahvenlahti, Mamba, Pop Workshop, Staffan Abeleen Quintets, Eero Koivistoinen Music Society, Ablution (with John Gustafson, Peter Robinson and Barry De Souza), Sabu Martinez and Bob Azzam. Comments: This is the soundtrack for the TV series Fox (1980), composed by famed George Fenton, and starring Ray Winstone. The music was played by Ray Russell with some of his mates, such as Barry De Souza or Roy Babbington. 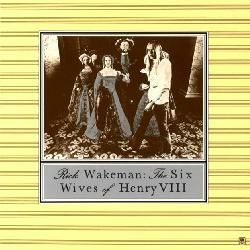 Comments: The CD reissue contains 3 bonus tracks (2 from a single recorded in 1971 with John Wetton on bass that remained unreleased). Comments: Recorded June to August 1971. Comments: Roger Cook collaborated on vocals on some Elton John albums (Elton John and Madman across the water). 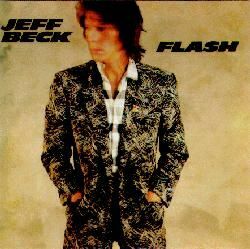 This was his 2nd album, and it includes collaborations from Chris Spedding (guitar), Caleb Quaye (guitar), Alan Parker (guitar), Mike Egan (guitar), Les Hurdle (bass), Jimmy Horowitz (keyboards), Alan Branscombe (sax), Barry DeSouza (drums), and vocals by Lesley Duncan, Tony Burrows, Vicki Brown, Rosetta Hightower, Liza Strike, Neil Lancaster, Johnny Goodwin. Comments: Lesley´s second album. It was recorded by Chris Spedding (guitar), Andy Bown (bass), Jimmy Horowitz (keyboards), Barry De Souza (drums), Jack Rothstein (strings). 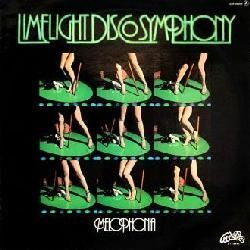 Comments: In this album from 1972, we can find Lesley Duncan (vocals), Peter Frampton (guitar), Martin Quittenton (guitar), Andy Bown (bass), Jimmy Horowitz (keyboards, flute, also producing), Barry De Souza (drums), and vocals by Madeline Bell and Liza Strike. Comments: A very fine singer, he sang lead in one of the roles for Jesus Christ Superstar. He has featured a quiet career, being his biggest hit the fantastic song 'Say it ain't so, Joe'. 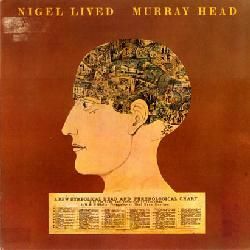 Nigel lived features the talents of Mark Warner (guitar), Clive Chaman (bass), Peter Giles (bass), Dave Wintour (bass), Peter Robinson (keyboards), Ray Cooper (percussion), Frank Ricotti (percussion), Henry Lowther (trumpet), Chris Mercer (sax), Cozy Powell (drums), Barry De Souza (drums), Michael Giles (drums, from King Crimson), Glen LeFleur (drums), plus Sue Glover and the late Kay Garner (Murray companion in ´Jesus Christ Superstar´) on vocals. Comments: The CD reissue from 2002 contains 2 bonus tracks. Comments: Second album by the band. Comments: Clever dogs chase the sun was released in 1972, and recorded by: Kenny Young (guitar, vocals), Chris Spedding (guitar), Dave Edmunds (guitar), Mark Warner (guitar), Bruce Epstein (guitar), Bob Falloon (guitar), Gerry Hogan (steel guitar, from Country Fever), Dave Wintour (bass), Fiachra Trench (keyboards), Barry De Souza (percussion). Comments: Third album by Phillip Goodhand-Tait. Comments: Sweet William features Nico Ramsden (guitar), BJ Cole (pedal steel guitar), Chris Belshaw (bass), Jimmy Horowitz (celeste, arranger and producer), Barry De Souza (drums), Glen LeFleur (drums, percussion), Skaila Kanga (harp), and vocals by Lesley Duncan, Sunny Leslie, Sue Glover and Caroline Attard. Comments: Wait till they change the backdrop includes Roy Babbington (bass), Mark Griffiths (bass), Barry De Souza (drums), Ray Duffy (drums), and the whole lineup by Sutherland Brothers & Quiver: Iain Sutherland (vocals), Gavin Sutherland (vocals), Tim Renwick (guitar on two tracks, flute on 1 track, and harmony vocals in 1 track), Bruce Thomas (bass), Peter Wood (keyboards), John 'Willie' Wilson (drums). On backing vocals: Thunder Thighs (that is: Casey Synge, Karen Friedman, Dari Lalou and Juanita Franklin). Plus one surprise: Gary Moore uncredited! Comments: Great keyboardist, she was a member of band comprising session musicians called Blue Mink. She was later in Bryan Ferry Band along with Chris Mercer. This was her only solo album. With Gary Boyle (guitar, later in Isotope), Caleb Quaye, Ray Fenwick, John Gustafson and Peter Robinson (from Quatermass), Ray Cooper, Barry De Souza (drums) and Bruce Rowland (drums). Comments: Third album by the band. Comments: Recorded during June and July 1974. Comments: Lesley´s 3rd album, and also has a stellar cast: Peter Frampton (guitar), Bob Cohen (guitar), Andy Bown (bass), Larry Steele (bass), Jimmy Horowitz (keyboards), Barry De Souza (drums), and backing vocals by Sue Glover and Liza Strike. Comments: English singer and actress, she was born Dana Richenda Antoinette de Winterstein Gillespie!!! She started his singer career in 1969, and David Bowie helped her in 1974. In Weren't born a man, we can find Jim Ryan (guitar), Paul Keogh (guitar), Dave Wintour (bass), Pat Donaldson (bass), John 'Rabbit' Bundrick (keyboards), Ronnie Leahy (keyboards), Mike Moran (keyboards), Rick Wakeman (keyboards), Bobby Keys (sax), Ray Cooper (percussion), Frank Ricotti (percussion), Terry Cox (drums), Barry De Souza (drums) and Keef Hartley (drums), plus Rosetta Hightower, Lisa Strike and Joanne Williams on backing vocals. It includes a David Bowie cover, ´Andy Warhol´. Comments: Keyboardist, he played in Pilot and String Driven Thing. He also was later in the Hawklords (a mutation from band Hawkwind). 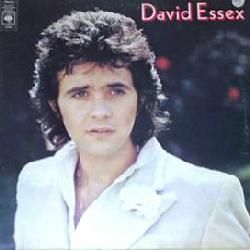 This was his 1st solo album. We can find here people from Van Der Graaf Generator: Nic Potter, Guy Evans, plus Caleb Quaye (guitar), John Gustafson (bass), Danny Thompson (bass, from Pentangle), Chris Mercer (sax), Simon King (drums, from Hawkwind), and Doris Troy on vocals. Comments: This pianist and composer has written songs for Leo Sayer or Roger Daltrey. Here we can find: Russ Ballard (guitar), David Gilmour (guitar), Paul Keogh (guitar), Alan Parker (guitar), B.J. Cole (steel guitar), Francis Monkman (keyboards), Andrew Powell (keyboards), Jean Roussel (keyboards), Mike Moran (keyboards), Brian Odgers (bass), Bruce Lynch (bass), Richard Harvey (horns), Morris Pert (percussion), Barry De Souza (drums), Barry Morgan (drums), Tony Burrows (backing vocals) and the members of Pilot. Comments: A fantastic artist! This very beautiful album (I like this title!!) contains these musicians: Ray Glynn (guitar), Tony Reeves (bass, from Colosseum and Greenslade), Chris Laurence (bass), Tony Hymas (keyboards, later with Jeff Beck), Phillip Goodhand-Tait (harmonium), Ken Freeman (keyboards), Lennox Laington (percussion), Barry De Souza (drums). And Chris Mercer and Mick Eve from Gonzalez play sax on one song, "The painter". My opinion: My favourite songs are: 'Lonely sky', 'Just another poor boy', 'A spaceman came travelling' and 'Old friend'. Comments: Recorded in June and July 1975. We can find lots of musicians from the band Brand X (the great ones John Goodsall, Robin Lumley and Percy Jones, along with Phil Collins). Also appearing, Gary Moore (guitar), Tony Sadler (guitar), Jerome Rimson (bass), Gaspar Lawal (percussion). The album has been issued on CD under a different name, The man from Manhattan, featuring two new songs (one of them featuring Freddie Mercury and Brian May from Queen). Comments: Modern times is a superb album, featuring Tim Renwick (guitar), Isaac Guillory (guitar), Dave Ellis (guitar), Stuart Cowell (guitar), Simon Nicol (guitar), George Ford (bass), Peter Moss (bass), Neil Lancaster (vocals), Graham Smith (harmonica), Pete Wingfield (keyboards), Peter Wood (keyboards), Tony Carr (percussion), Gerry Conway (drums), Barry De Souza (drums). My opinion: I love the songs ´Sirens of Titan´ and ´Carol´. Comments: The late Billy Lyall was a member of Bay City Rollers, and later he was the keyboardist in succesful Scottish band Pilot. 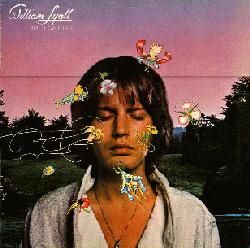 He later collaborated with Alan Parsons (Pilot's producer), and made his only solo album, with help from many musicians: his old friends from Pilot Ian Bairnson (guitar) and David Paton (bass), plus some others, such as Robert Ahwai (guitar), Ray Russell (sitar), Phil Chen (bass), Ronnie Leahy (keyboards), Chris Mercer (sax), Barry De Souza (drums) and Phil Collins (drums). He sadly died in December 1989, of an AIDS-related illness. The album was reissued on CD with two bonus tracks (the single versions of 'Maniac' and 'Solo casting'). Comments: This was a project that assembled several musicians. With Demis Roussos (vocals, from Aphrodite's Child), Hugh Burns (guitar), Ray Russell (guitar), Alan Jones (bass, from The Shadows), Dave Markee (bass), Paul Westwood (bass), Francis Monkman (keyboards), Ann Odell (keyboards), Paul Buckmaster (keyboards), Tony Hymas (keyboards), Graham Preskett (violin), Brother James (percussion), Ray Cooper (percussion), Morris Pert (percussion), Simon Phillips (drums), Barry DeSouza (drums). Conducted and arranged by the great Martyn Ford. Recorded in 1977. Comments: Recorded in August and September 1977. Comments: He was categorized as a mixture of Bob Dylan and Bruce Springsteen. 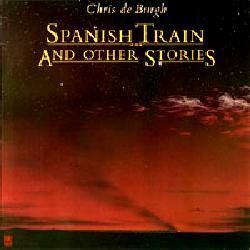 A very talented songwriter, he recorded this album in England, with noted guests and studio musicians, like Mick Taylor (guitar), Mike Moran (keyboards, once with Ian Gillan), Peter Oxendale (keyboards, later with Chris DeBurgh), Dave Markee (bass, later with Eric Clapton), Barry De Souza (drums), Phil Collins (drums), and from Gonzalez: Chris Mercer (sax) and Steve Gregory (sax). Comments: First solo album by the great, much-missed David Byron. 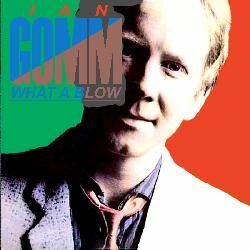 Comments: This album was also known with the title Gomm with the wind. Comments: A Richard Hewson project. In the album, Rah Band is credited as: Richard Hewson (keyboards, guitar, bass), Peter King (sax), Tony Carr (percussion) and Barry De Souza (drums), but I guess it was just a studio project, not a real band. 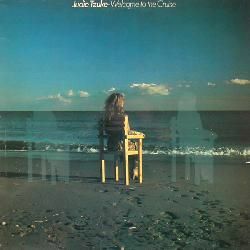 Comments: Welcome to the cruise was Tzuke´s first album (although it was names Stay with me ´till dawn in its American release), featuring Ray Russell (guitar, also brass arrangements), Mike Paxman (guitar, percussion), Mo Foster (bass), Roy Babbington (bass), Chris Parren (keyboards), Paul Hart (keyboards), Steve Nye (keyboards), Ray Warleigh (sax), Simon Phillips (drums), Pete Van Hooke (drums), Barry De Souza (drums), Morris Pert (percussion). String arrangements by Paul Buckmaster. Comments: This comeback album (his first album was from 1973) has lots of great musicians in it. Some of them: Tim Renwick, Mick Grabham, Jim Dewar, Dave Mattacks, Mo Foster (bass), Henry Spinetti (drums). Plus: Paul Westwood (bass), Steve Bingham, Pete Zorn, John Verity & Rod Argent (backing vocals), Barry DeSouza (drums). 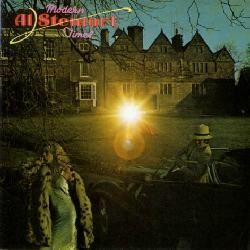 Co-produced by Matthew and Chris White (former member of The Zombies, with Rod Argent). Comments: He was a member of great band Brinsley Schwarz from 1970 to 1975. He has released several solo albums. On this one, he's backed by Ray Taff Williams (guitar), B.J. Cole (pedal steel guitar), Herbie Flowers (bass), Rod Demick (bass, from Meal Ticket with Steve Simpson), Nick Glennie-Smith (keyboards), Malcolm Morley (keyboards), Chris Parren (keyboards), Raf Ravenscroft (sax), Alan Coulter (drums), Barry De Souza (drums). CD reissue from 2002 contains bonus tracks. Comments: Collection of unreleased recordings by the band Smile (featuring Freddie Mercury and Brian May), plus 2 songs by Eddie Howell (also with Mercury and May, and featuring Jerome Rimson, Barry De Souza). Comments: Sorry, I don't know who she is. 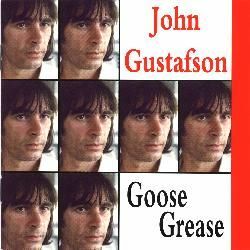 This album features Ray Russell (guitar), Nigel Jenkins (guitar), Bruce Baxter (guitar), Bob Falloon (guitar), Mo Foster (bass), Alan Jones (bass), Lynton Naiff (keyboards), Stan Sulzmann (sax), Barry De Souza (drums), Chris Karan (percussion), and backing vocals by Tony Rivers, Jimmy Chambers, George Chandler. Comments: The best of is obviously a compilation. Featuring Merry Clayton (vocals), Stephanie Spruill (vocals), Larry Byrom (guitar), Lee Ritenour (guitar), Ben Benay (guitar), John Gustafson (bass), Klaus Voormann (bass), Emory Gordy (bass), Larry Knetchel (bass), Chris Laurence (bass), Joe Puerta (bass), Barry De Souza (drums), Jim Gordon (drums), Jim Keltner (drums), Bobbye Hall (percussion), Chris Karan (percussion), Paul Buckmaster (arrangements). Comments: Box set with several unreleased tracks. 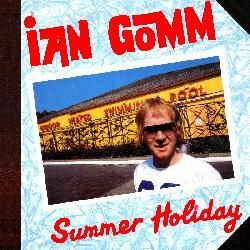 Comments: Compilation comprising songs from Gomm´s first three albums (Summer holiday, What a blow and Village voice). Comments: Includes bonus album ´Born again´. 01. Was Barry a member of Tir Na Nog, or he just played as sessionman? 02. Was Ablution a real band, or just a studio project? Francis Monkman: for info on Barry playing in Curved Air. Mick Greenwood: for info about his solo albums. GemmaBlyth: for info about Spinning Wheel (2010). Boris Shnitzer: for the David Byron album. Alex Gitlin: for the John Gustafson album as well as scans. 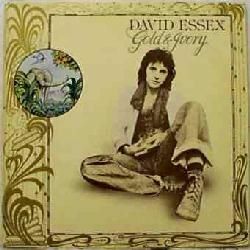 Arne Rasmussen: for the credits of the David Essex album Gold & Ivory. Spinning Wheel played the Greyhound and Spotted Dog in London. They were Wheatley Taverns owned by Bob Wheatley. The band were - Gary Moore, Pete Sills (Bassist), Geoff Whitehorn (If, Procol Harem, The Roger Daltry Band, The Who), Mike Starrs (singer songwriter who has written for Cliff Richard) and John Stevenson (my Dad) took over from Rick Wakeman on keyboards with them in about 1970. GemmaBlyth, thanks for your info. Please, if you see this post, send me an email message to my address. I'd like to ask you some questions about Spinning Wheel.